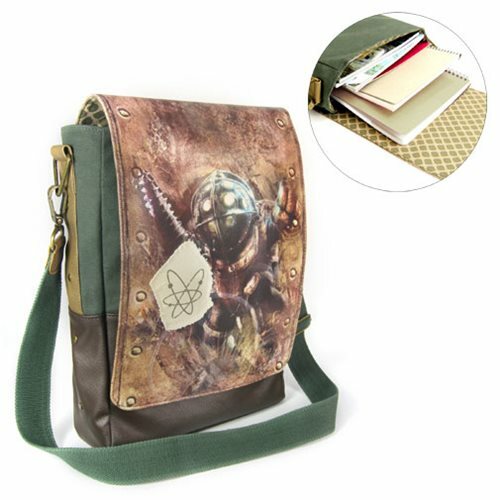 Carry your stuff in this vertical messenger bag bearing an image of a deadly Big Daddy from the BioShock video game! The BioShock Big Daddy Messenger Bag measures about 14-inches tall x 10-inches wide x 3 1/2-inches long and features a large Big Daddy image, a Sinclair Solutions canvas patch, a padded laptop pocket, and a shoulder strap. Ages 17 and up.